It makes absolutely no sense to purchase an expensive tent if you don't know how to keep your tent safe. Take care of your camping tent and your tent will take care of you. The following are some helpful hints and tips to help you maintain your camping tent. Even though the manufacturer has said that the tent is waterproof and all the seals have treated and sealed, it might not be so. Better be safe then sorry. Contact the manufacturer and find out which seam sealer the manufacturer recommends. Then seal all the seals. 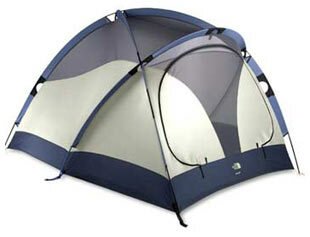 Bring any extra tent parts that might help you if the tent needs some repair - extra zipper, needle, duct tape, etc. A little preparation in advance will help out in the end. Practice makes perfect and it is easier to practice in your home or outside on the lawn when there isn't any terrible weather to make the job of setting up the tent any harder than is necessary. By practicing now, you have less chance of ripping, bending or breaking any part of the tent. If you are camping on a sandy beach or snow, bring the bags that are buried in the sand/snow to stake the tent as regular stakes might not work properly. If you are camping on land, grass, etc., bring the stakes that will work the best. Stake according to the weather as a huge gust of wind and rain will creat havic to a tent that is not staked. Make sure the correct tension is applied to all the stakes. The Ultraviolet light from direct sunlight will break down the tent fabric. Avoid leaving the tent in direct sunlight for long periods of time. A tent footprint, tarp, ground cover will protect your tent from objects ripping through the bottom of the floor of the tent as well as protect the tent from dirt, etc. It also helps keep water out of the tent. The added layer will add some extra comfort for the floor inside. When you sleep and stay in a tent, moisture might accumulate inside. If a window or flap remains open a little bit, it will keep condensation from the inside of the tent. Obviously a tent can't be totally cleaned while hiking, kayaking, car camping, etc. Make sure that the tent is not packed away while it is still wet. Try to dry off the tent as much as possible and if the tent has to be packed away a little wet, unpack it as soon as possible to help dry it out again. Use the manufacturer's recommendations on how to clean the tent (usually warm water). Make sure there is no mildew or mildew smell on the tent. Do not use any cleaning solvents or chemicals as they can deteriorate the tent. Pack the tent away only after it has thoroughly dried. Have fun backpacking and don't forget to take care of your tent when you return from your hike.